OUR PRICE: $25.76 - Join Rewards Get $1 Dance Dollars On This Item! 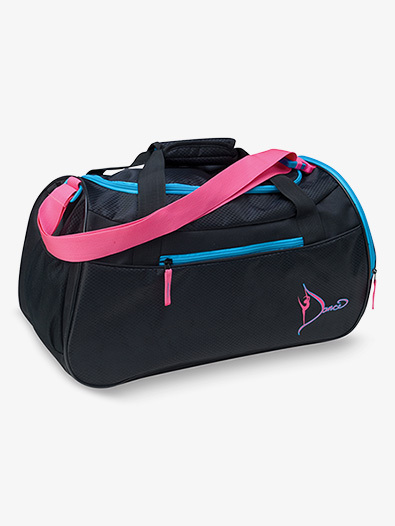 Head to class with this eye-catching bag featuring an adjustable shoulder strap, durable textured microfiber fabric, a mesh-vented exterior side pocket perfect for shoes, front zipper pocket, an additional mesh side pocket, contrasting zippers and "Dance" logo, a zipper closure, and full lining. Size: 20" x 10.25" x 10.25"